Low-cost airline Norwegian will give Premium passengers travelling to Gatwick from Oakland International Airport (OAK) free access to the airport’s brand new Escape Lounge from this month. Passengers flying in Norwegian’s Premium cabin on its award-winning low-cost flights from the Bay Area will benefit from complimentary access to the new Escape Lounge operated by Manchester Airports Group (MAG) USA, subsidiary of the largest UK-owned airport group. Access to the Escape Lounge will complement the existing free access to No1 Lounges at Gatwick for all Norwegian Premium passengers. The new Escape Lounge at OAK will be the first to open on the West Coast and will offer Norwegian’s Premium passengers a relaxing atmosphere with stylish and contemporary furnishings and an extensive complimentary locally inspired food menu created in partnership with Oakland-based Chef Chris Pastena. Unlimited free alcoholic and non-alcoholic beverages, free high-speed Wi-Fi and a selection of newspapers and magazines will also be available. Norwegian’s economy passengers and customers of other airlines will also be able to purchase access to the Escape Lounge. Norwegian’s Premium cabin is in a class of its own, offering passengers an enhanced service and extra comfort at greater value when flying transatlantic. Premium passengers can check in two 20kg bags, receive priority boarding and are welcomed on board with complimentary soft drinks. Passengers also receive spacious leather reclining seats with 46-inch legroom, premium meals and unlimited soft and alcoholic beverages – all aboard the brand new 787 Dreamliner. Norwegian serves Oakland-San Francisco three times weekly direct from Gatwick with Premium fares starting from £499 one way and in economy from £159 one way. Premium passengers can enjoy No1 Lounges access, fast track security and priority boarding at Gatwick Airport to all eight US destinations served by Norwegian. 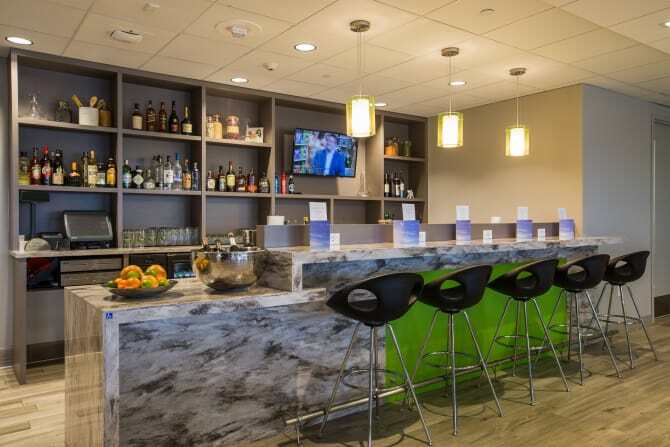 Complimentary lounge access is already available for Premium passengers at London Gatwick, New York JFK, Los Angeles and other select airports.